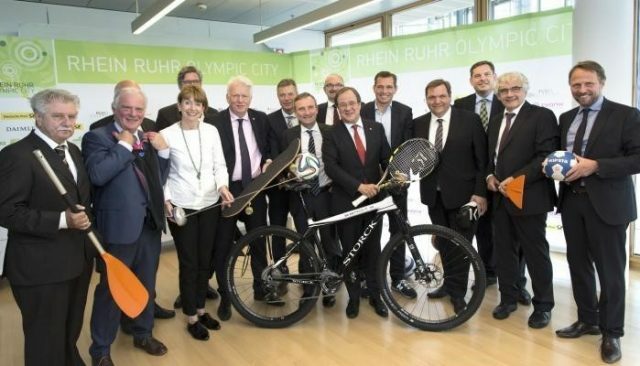 In the “it is never too early to plan an event 15 years down the road” file, Germany wants to host the 2032 Summer Olympics and has identified one state that features 13 cities that can host events, North Rhine-Westphalia. Düsseldorf, Cologne and Bonn would be part of the plan. In 2017, the 2032 Germany Olympics backers claim that 80 percent of the proposed Olympics venues are already available, which includes 16 stadiums of 30,000 seats or more and 24 large sports halls. By 2032, all of those facilities will need to be upgraded because of the life expectancies of sports facilities today. It appears that Germany has conceded that the 2024 and 2028 Summer Olympics will be awarded to Paris and Los Angeles or Los Angeles and Paris. The International Olympic Committee is seeing that there is a growing “we don’t want these costly sports events” trend and is looking at ways of reining in costs for cities and countries wanting to host the event. Germany has said no, through referendums, to hosting the 2022 Winter Olympics which would have been held in Munich and Bavaria, and the 2024 Summer Olympics which would have taken place in Hamburg. It is difficult to see how the public costs of the 2032 Olympics in Germany in North Rhine-Westphalia would not be staggering to taxpayers. It still is in one state and the money would be spread over 13 municipalities instead of one as the case is in Los Angeles as LA elected officials have committed Los Angeles taxpayers to come up with money for cost overruns. But there are some politicians in Germany who feel it is worth the cost although at this point it is impossible to know what the various constituencies are thinking. The race for 2032 is starting with Brisbane, Australia elected officials and business leaders thinking of launching a bid.